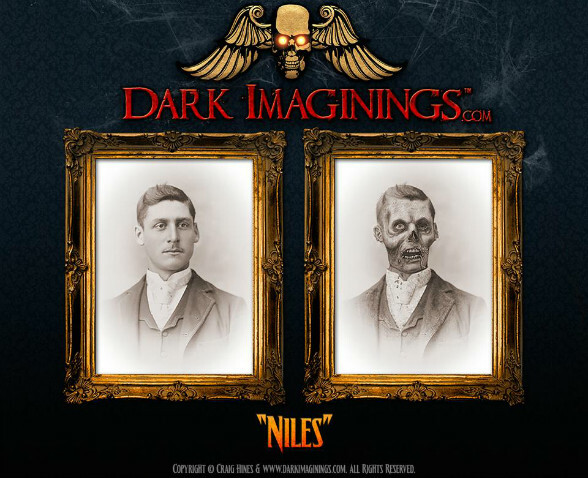 From the twisted mind of CRAIG HINES, DARK IMAGININGS™ features professional quality "haunted" changing portraits and spooky special effects for your home, office, or crypt. 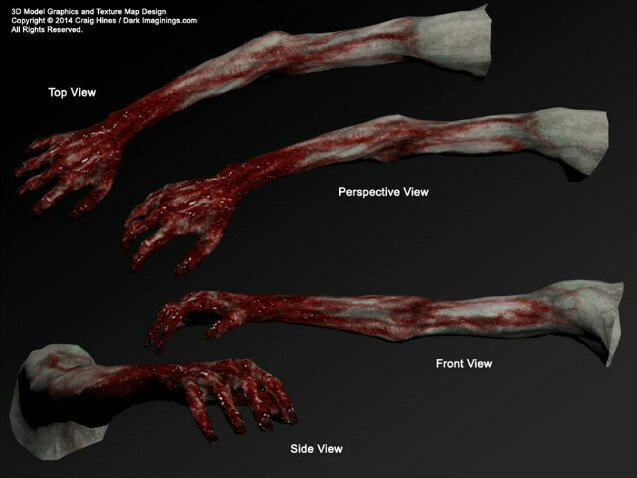 It is our ambition to create works of art that tickle the fancy and send shivers down the spine. We are constantly summoning new entities and products to unleash upon the world. These original works of art are handcrafted in a variety of sizes (5"x7", 8"x10", 11"x14", 16"x20") and produced totally in-house by our dead-icated skeleton crew. 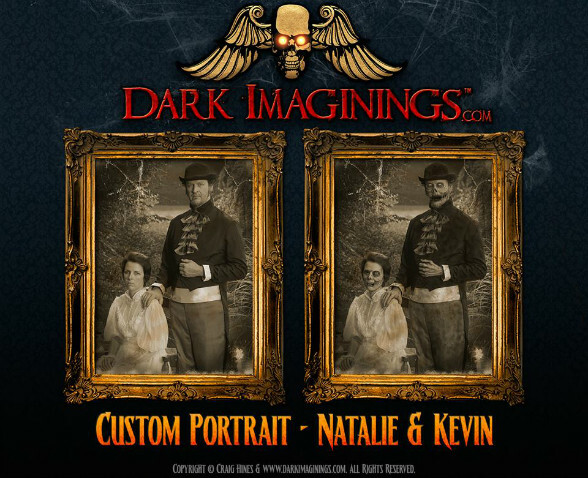 We also accept custom work orders and would love to turn your family, pets, or home into one of our frightening monster-pieces. Scare your friends and creep out your family! Storeowners are welcome to contact us for wholesale opportunities. 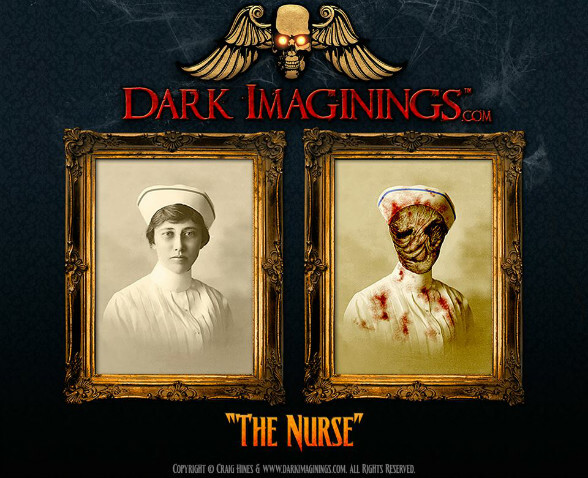 Dark Imaginings creates changing portraits, graphics, and websites for haunted houses, home haunts, and anything Halloween & horror themed.